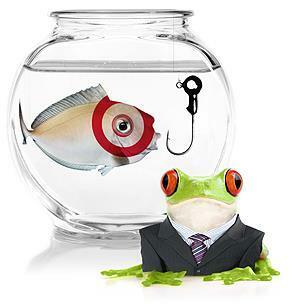 March 2014: Think email phishing isn’t a big deal? Think again! Hackers sent phishing emails to one of Target’s HVAC vendors and got exactly what they were looking for — backdoor access into the retail giant’s network! First, understand what the bad guys did. Second, block the bad guys at every turn. Two thirds of people will stop doing business with a company that loses their personal information — that’s crippling! And you should know that attacks are more common than you might imagine. The FBI recently warned retailers that 20 additional Target-style attacks occurred over the past year. 1) Use best-in-class anti-malware and firewalls. The HVAC company whose credentials were stolen was using free anti-malware that was designed for individual users and not corporations. 2) Isolate your payment network. External systems for billing, contract submissions, project management and other processes need to be physically separate from your payment systems. 3) Carefully secure your vendor portals. Choose reputable cloud vendors and review details of each Service Level Agreement (SLA). If there’s a breach that is technically not your fault, two-thirds of the people will still want to do business elsewhere. 4) Restrict internal access to your network. Employees make mistakes (or worse). Limit the number of employees who have access to your data center and resources, and keep your BYOD policy updated.